Add these inspirational books to your reading list. Maya and her brother were sent to live with her grandmother at the age of three. At 16 years old, she became a mother. The book chronicles her transformation from a victim to a strong young woman. This is an unfinished book by one of the Founding Fathers of the US known for his various skills and interests. He wrote the book when he was 65 years old. 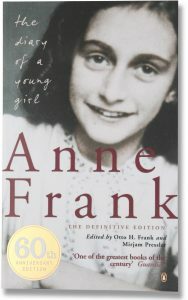 Originally written in Dutch, Anne wrote a diary while her family escaped and hid from the Nazis in Netherlands. When she died, her diary was given to her father who was the only survivor in the family. It’s a semi-autobiographical account of a woman named Esther Greenwood who suffered from a mental illness and attempts suicide. The writer herself committed suicide just after the book was published. He wrote the book detailing his life until 1921. It originally appeared as a four-year series in the journal Navjivan. The Nobel Prize-winning physicist wrote a mix of humorous and serious topics about different incidents in his life from his hobbies to his work on the Manhattan Project. This first appeared as a series of short stories in The New Yorker. It mirrors Wolff’s life when he attended an elite boarding school in the US. Singapore’s first prime minister wrote several memoirs including this. It details the nation’s struggle to include the different cultural groups as well as his own study of the Chinese language. The book recounts the lives of three generations of women in China. It talks about Chang’s grandmother, mother and her own. This is a six-part novel by Knausgaard detailing his private pleasures, humiliations and dark thoughts. He began writing in 2008 about the troubled relationship with his father. The 11th president of India wrote about his early life until his opportunity to lead the Indian space and nuclear research programs. He was a son of a boat owner but he became a scientist and a statesman. 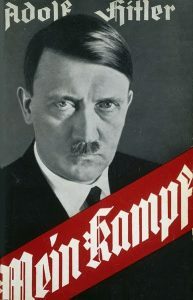 Written by history’s most notorious villain, the book talks about Hitler’s political ideology and plans for the nation. He started writing it while he was detained in 1923. This was written based on the life of Stein’s partner Alice B. Toklas and how they met through Stein’s sister-in-law in 1906. McCourt was born to a poor Irish immigrant family. 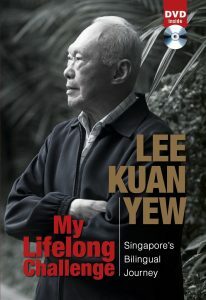 He details his early life and his family’s struggles to live a decent life despite poverty and illness.